When I first heard what Tristan Harris, a former Google employee, was doing, I was so thrilled to see that someone with his insight and perspective was taking on this cause! He left his position at Google to start the Center for Humane Technology and the nonprofit organization, Time Well Spent, where he is trying to reverse what he calls the "digital attention crisis". This crisis is in part caused by technology companies designing mobile devices and social media features that are meant to capture as much of our attention as possible, regardless of their impact on our quality of life. He has been called "the closest thing Silicon Valley has to a conscience" by The Atlantic magazine. Here's his description of this new movement, "...with Time Well Spent, we want technology that cares about helping us spend our time, and our lives, well - not seducing us into the most screen time, always-on interruptions or distractions." 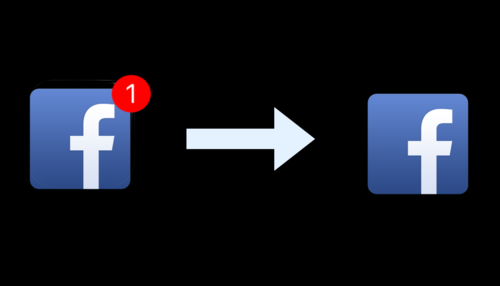 Turn off all notifications except from people (such as Messages, FB Messenger, Whatsapp) - notifications appear in red dots because red is a color that instantly draws our attention. Go grayscale - colorful icons give our brains shiny rewards, so going grayscale may contribute to you checking your phone less. Try keeping your home screen to tools only, meaning the apps you use for quick tasks like maps, camera, calendar, notes. Move the rest of your apps, especially mindless choices (for me, this is Facebook and Instagram and even news) off of the first page and into folders so you really need to think before you open them. Launch other apps by typing so that the fact of typing takes just enough effort to make you pause and ask yourself if you really want to be doing this. Watch Tristan Harris' TED talk about his work and his nonprofit, Time Well Spent.